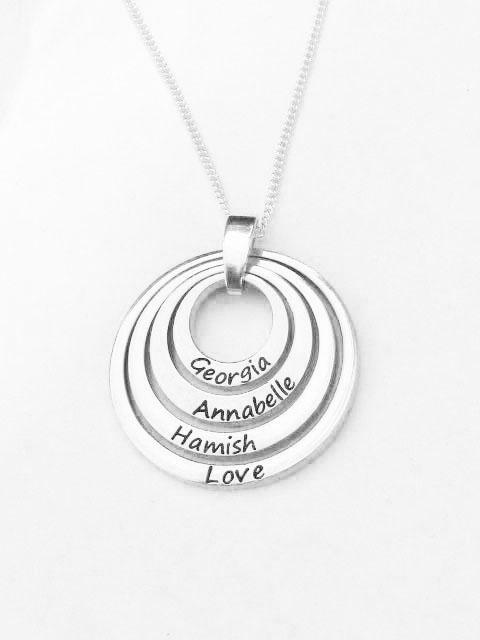 Stunning circle name pendants. 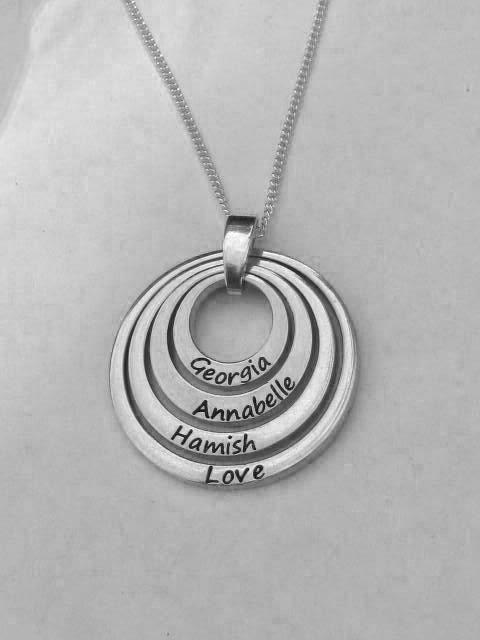 Personalised for you with your special names and dates. 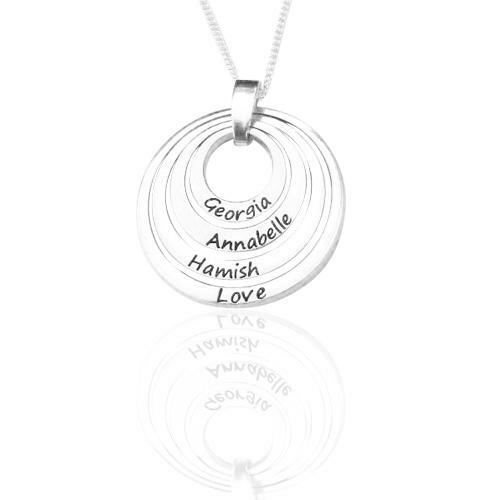 Made in Sterling Silver or 9ct gold precious metals. Choose from the drop down menus. 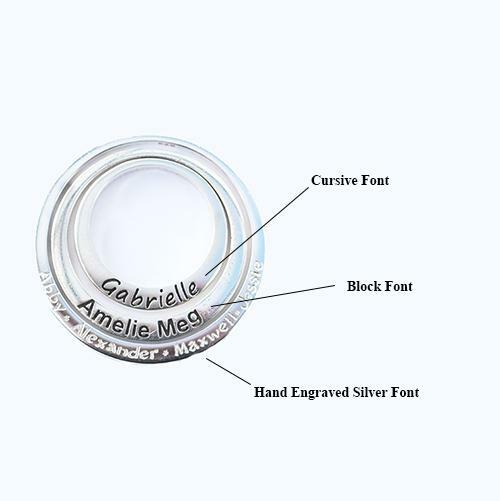 Dimensions: The inner rings is 16mm wide, the second is 20mm, third is 25mm and fourth is 30mm. They are all 3mm thick. 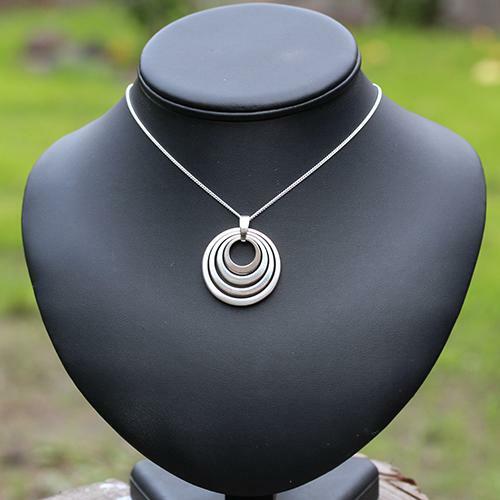 Choose the metal you want: This listing is for a sterling silver and if you want it in gold please choose from the drop down menus above. 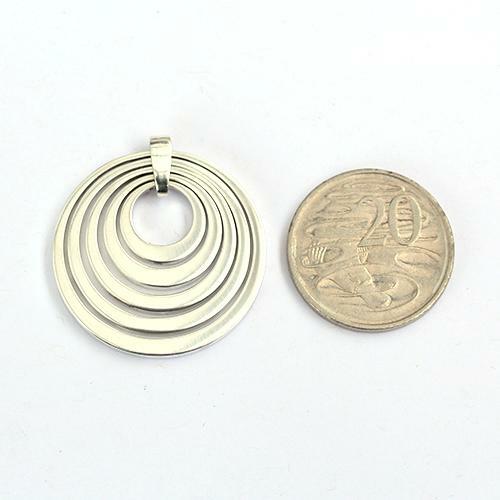 You can choose a mixture of silver and golds also.